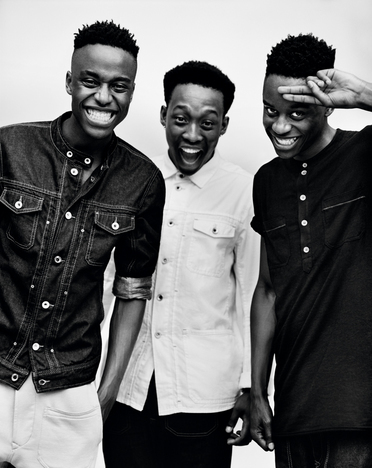 Members of I SEE A DIFFERENT YOU are twin brothers, Innocent and Justice and their best friend Vuyo. Their hometown is in Soweto in South Africa, is known as a largest township (black residential development). They form their tandem/partnership in 2011, and released pictures of their town and people online. They say “There’s negative and positive in everything. 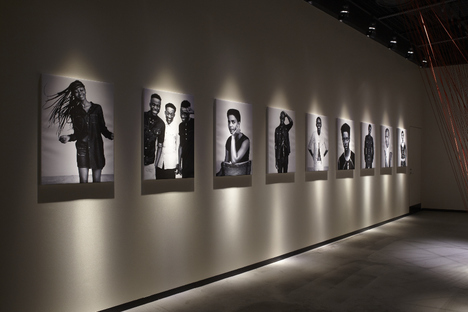 We choose to look at the positive.” I could ask them who has chosen for the “STUDIO AFRICA”(*1) campaign by a fashion brand DIESEL, about their mind and motivation for their work held the exhibition at DIESEL ART GALLERY in Shibuya. The name “I SEE A DIFFERENT YOU” is so unique. I heard that you are working with the Concept “Shoot the positive aspect of Soweto which is different from general impression”. Why did you choose “YOU”, not “Soweto” like “I SEE A DIFFERENT SOWETO”? Vuyo[V]: Because it’s also like, “I See A Different You,” it’s not owned by us. It’s for everyone to have a different view. Innocent[I]: We named “I SEE A DIFFERENT YOU” to have a broader meaning. If we said “I See a Different Soweto,” it means we’re boxing our expression of our working just in Soweto. We are from Soweto, but we are Africans. So when you say “I SEE A DIFFERENT YOU,” we are accommodating the whole Africa in that way we can express our view on a certain country in Africa. So that we can express, it can be I see a different Africa or I see a different Japan. So we didn’t want to box in one thing. Justice[J]: And we named it that way, so that it can be bigger than just Soweto, it can be global. Because we believe that we are global citizens. We can express our feelings of any place. As we are here, we’re taking photos and upload them, and we’ll be seeing a different Tokyo, Tokyo the way that you guys see it. But yes, it’s just the way to express in a broader way. 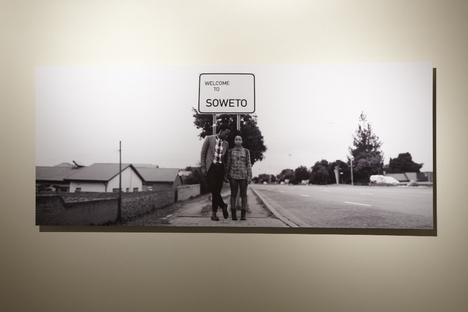 Many young Japanese might not be familiar with the place “Soweto”. 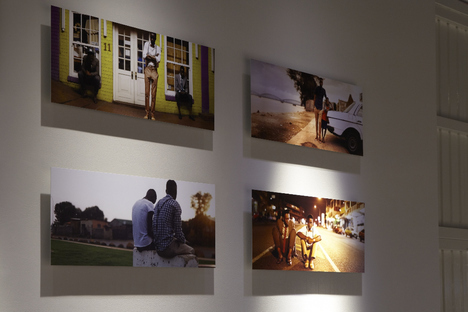 Do you want them to know about the history of Soweto before seeing your works? [V]: When most people think of Africa, especially Soweto, you know like hunger children, or houses that are bad things associating with Africa. We’ve stayed in Africa. And we saw people coming out from other countries to take pictures of Africa that we didn’t know. That’s not Africa. So as a collective we’ve decided to show Africa what is Africa according to our eyes and what we’ve learned. Hence it’s what we see in Africa. It is Beautiful. [I]: History is important and history will always be there. We won’t forget, but we are the youth and the future. So we are showing the world what Africa is now, not what Africa was. [J]: Our history is big. It’s not only the Soweto Riots(*2) in 1976 but also the nostalgia things, like people who were swingers, people used to dress very well. And that is the kind of history and heritage that we want to preserve. There’s negative and positive in life. And we choose to tell positive stories, because the media has overpopulated everything with negative. So we take the rich history of beautiful people. What was the first opportunity for you to be picked up for the campaign “STUDIO AFRICA.”? Have you release your works for abroad so far or just work in the local then someone found you by chance? [J]: How everything happened was, we got an email telling us about “Studio Africa” casting, and it just said “I came across your work and I really think you guys can be suitable for this campaign. Just write us some stuff put a link to your blog, and send it to this email.” And we did that, and I think after a week or something, an email came back that we made it to the top 10 and then everything started there and it’s history. We did a documentary, it was just a life-changing thing we never planned. You show your works on tumblr. Have you used the Internet to spread them from before the campaign? [I]: Yeah, we have been using the Internet to show our work and that’s where it all started. I think it was December 2011, that’s when we had a tumblr and we still have it. In the uploaded video on vimeo, I found the word “not only did we inherit wisdom from our forefathers but also the style.” What are the wisdom and style that you inherited from your forefathers? [V]: Our forefathers gave us that style, and the wisdom is the love that we have for our country or parents or where we come from. In my home for instance, my grandmother stayed there, my grand-grandmother stayed in that house too, you know, like everyone staying in that house, because it’s the love that they have. It’s for people to preserve their culture and heritage. Not trying to be someone else or something else. To be themselves. That’s how simple it is. [I]: And the wisdom is also pride. Like be proud of where you come from. Just be proud. It’s the best way to be productive and creative. How do you apply the inherited wisdom and style to your own style? [V]: You said that our works are stylish, that because of our forefathers. They gave us these styles. And wisdom is preserving as our identity. [J]: When we were young, we never understood the styles of our parents’ generation. But we were imprinted these style subliminally. Then now we are grown up, we go back to the photo albums, and see how they wore their clothes. And we take their style and mix it with the urban style of the current trend. Sometimes when we go out and shoot, if we see someone that feels like they belong in that era of our forefathers or parents when they were young, we take it. This guy used the trend that was popular maybe in the 60s, or 80s, but he wore like this year. So this is the style we try to capture. Through your works, we can feel a strong intention of positive things and a tender glance at beautiful aspects that always exist. What is the “beauty” for you? [I]: For us, beauty lies everywhere. We see beauty in things that normally people wouldn’t see the beauty like township area. Beauty to us is the situation. Assuming that there’s a kid from the rich parents and there’s a kid from the parents that are not so rich. Because they’re kids, they don’t know the standards. And the poor kid would make a car with a brick, and the rich kid would get a car from the shop. But that car for both kids, is just as rewarding as getting something. For us, that’s beauty. I was the child that played with a brick as a car. But my brick, that was a car made me just as happy as the kids with the car. So for us, that’s beauty. [J]: Beauty to us is finding happiness in you, without trying to level up with other people. Other people find beauty in money, love, and other things. Beauty to us is what makes us happy now, without any material. It’s all inspired from us being young, when we used to skate a lot and run around and do whatever. So when we see a run‐down building, we see a place where we’re able to play and have fun. And that’s beauty. For us, it’s like there’s nothing more amazing than just play all day not even care what’s going to happen. So that’s the kind of beauty we see in places that we shoot. Have you found any “beauty” in Japan? There are lots of beauties. The amazing thing about Tokyo, people are very shy. Because they are innocent. When we go up to people and ask them “may I please take a photo with you”, she may not want to take a photo with you, but she can’t say “No”. They’ll find another way of saying “No, I can’t.” But they’ll never say “No, leave me alone”. The general population, you have good hearts, like genuine. Please give a message for Japanese audience. [I]: I’m thankful for everything and for the people finding Art in what we do, and believing in us, because I think without the support from the peoples, we’d never be here. And they inspire us to make up and appreciate our work. It’s an amazing feeling. [J]: Stay true to yourself, as a youth. We believe that being yourself is the best person you can be. [I]: And never stop dreaming. Just dream big. Because anything is possible. 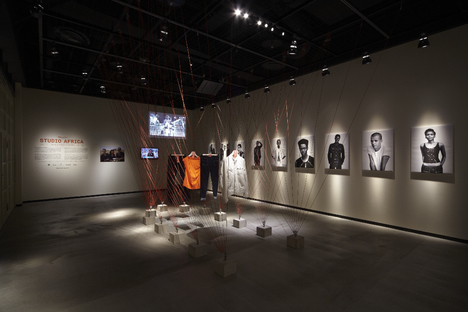 *1　STUDIO AFRICA exhibition is a global campaign of the DIESEL+EDUN collaboration project. 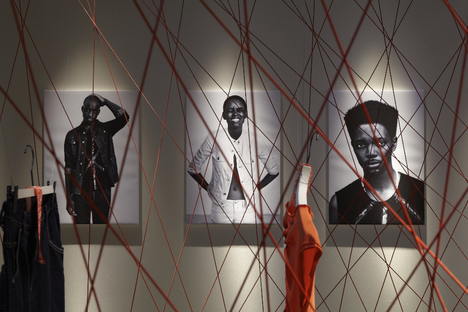 The project gives visibility to Africa’s incredible creativity, and selected nine young and influential artists. 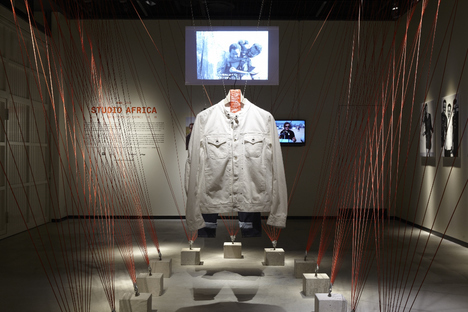 DIESEL+EDUN collaboration will engage a global audience with the passion of its founders to raise awareness of the creative opportunities in Africa and build sustainable trade with the continent through fashion – a global loudspeaker for the new African economic and creative paradigm. Collaborated by DIESEL founder Renzo Rosso, EDUN founders Ali Hewson and Bono from U2. *2　The events known as the calamity took place in apartheid era in 1976. Armirs fire a gun indiscriminately to young people who protested against the government decision to introduce Afrikaans (the language used by the inhabitants of the Dutch) to the school education. Then there were many victims during the riots.This incident brought significant international criticism to apartheid, and became the one end to the elimination of the policy inside and outside the country.